Today’s nail art is inspired by Periwinkle Flower. 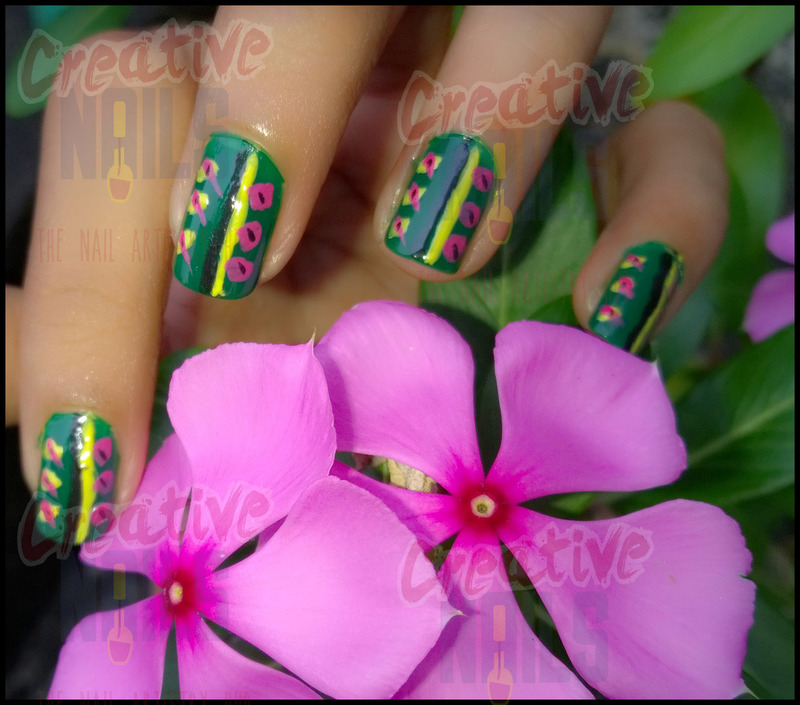 Periwinkle flower’s petals on its green leaf were looking so beautiful that I couldn’t stop myself from creating a nail design with pink and green combination. Hopefully you will like it! Do comment and let us know your thoughts about this design! ← Tips for Beautiful Nails! Love your inspirations, you have a creative mind. Good attempt with the nail art!